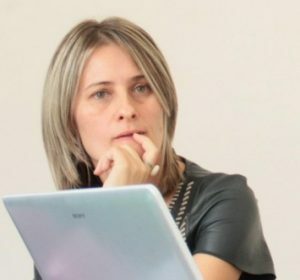 Tamara Butigan Vučaj, librarian and engineer, is the Head of Digital Library Department at the National Library of Serbia and Serbian national representative in DARIAH-ERIC. Her fields of expertise include digital libraries, metadata and Digital Humanities. She is an active member of Europeana Network and contributed in several Europeana task forces and in two ongoing Europeana projects. Tamara is a member of the DARIAH Serbia team and co-chair of the DARIAH working group for digital humanities in libraries.